I always wanted to be my own person; have my own career; my own achievements. Always being compared to Netaji would not have been very acceptable to me. “Bose was a man of great charisma, dedication and ability to sacrifice for a cause – the Independence of his country and improvement of his countrymen”… is how Anita Pfaff, the only daughter of Netaji Subhas Chandra Bose and Emilie Schenkl, describes her father. How do you handle the responsibility that comes with being Netaji’s daughter? Do these expectations weigh you down? If I were to live in India then these (responsibilities) certainly would have. There would have been the pressure of being pushed into the role of playing an icon to this or that movement. But since I live in Europe, it does not affect my life. I am free of the benefits and disadvantages of being my father’s daughter. Any plans of settling down here ? Many years ago, I was considering that. Unless you are a very tough person like many of the active politicians here, it’s not easy to pick up and start living in a totally different environment. I think it is not really feasible that I settle here. If I had started when I was younger it would have been possible to work in the social and environmental fields. I must say one thing — I would not have been satisfied with playing Netaji’s daughter and nothing more than that. I always wanted to be my own person; have my own career; my own achievements. Always being compared to Netaji would not have been very acceptable to me. 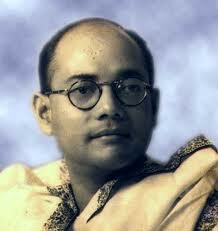 Do you feel a sense of pain over the controversies that still surround Netaji? You mean about his death, my being his daughter or not? There’s a slight pain. But on the other hand, there are some things that I feel are quite futile. I wonder why people get so worried about (it) when there are other more relevant problems facing them and the society at large. But I guess one has to put up with people’s preoccupations. Do you think Bose has been accorded the right place in Indian history? I think to some extent there are a variety of people who do not grant him the right place in history; partly those who were jealous of him or (those who questioned) his way of addressing India’s struggle for Independence. I think there might be personal jealousies. For a long time, the mainstream Indian position was that India’s independence was largely because of non-violence and civil disobedience movements. One should attempt to set things right and attribute achievements to people who deserve it. Obviously, there was not always a fair treatment of Netaji in that way. But the most gratifying thing outside the formal recognition in history books — he is admired and loved by many commoners who may not be terribly knowledgeable about his life. How many leaders today can lay claim this form of immortality? Do you plan to write a book on him ? No, I don’t. I may write a book on my mother (Emilie Schenkl) but I’m not sure. I have written a small article on her so far. But, certainly, I won’t write a book on Netaji because I’m not a historian. Also, I do not have any personal recollections. My life did not overlap with his and what would I contribute? Corruption seems to be a rampant problem in the Indian politics now. Your thoughts . Corruption is like cancer and you have it across all societies. But the degree of corruption that you have in many of the upcoming or third-world countries is to an extent that stifles most of the positives. I must say this would have been one aspect that would have deterred me from going into any public office in India. I personally do not see a feasible way out, but I see how it is pulling down the country to a very serious level.